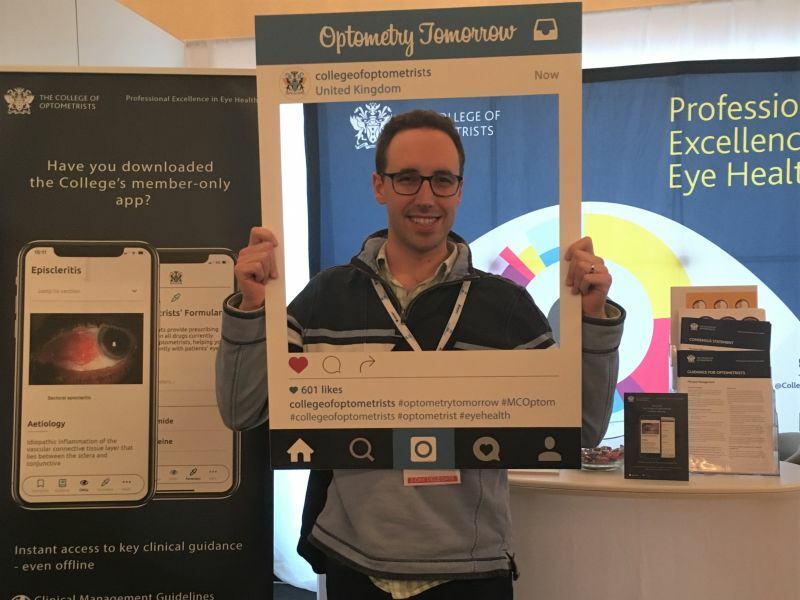 This weekend, Leightons Chandlers Ford optometrist, Sean Matthews, travelled up to Birmingham to attend Optometry Tomorrow, the College of Optometrists’ annual conference. The Optometry Tomorrow conference is the main event on the College’s calendar, making for a very busy weekend for all those who attended. As expected, the days were packed with lectures, workshops and discussions delivered by leading experts in the world of Optometry and Ophthalmology. “Sean spent his time at the conference hearing about the use of gene therapy in the treatment of inherited retinal disease, pioneering stem cell based therapies being used to treat wet macular degeneration (AMD), advances in glaucoma surgery, and the impact of living with AMD from a patient’s perspective” explained Branch Manager, Billy Walder. The conference was also a great opportunity to network with colleagues from all aspects of the industry. Optometry Tomorrow allows optometrists to stay up-to-date with developments in optometry and to find out about all the latest clinical innovations and techniques to help them to take even better care of your eyes. Here at Leightons we feel it is important to provide a premium service so that you can feel comfortable knowing that your eyecare is in safe hands. Our friendly optometrists provide a range of eye examinations to suit your needs. This ranges from our Leightons Eye Examination, which includes free Retinal Photography to help us monitor your eyes over time, to The Leightons Ultimate Eye Examination, which offers a specialist OCT scan to help your optometrist see beneath the surface of your retina to give a 3D view of the layers beneath. You can find out more about our eye examinations here. If you would like to book an appointment with Sean or one of the optometrists in our Chandlers Ford branch then call 02380 266 181. You can also book an appointment online or contact your local branch.